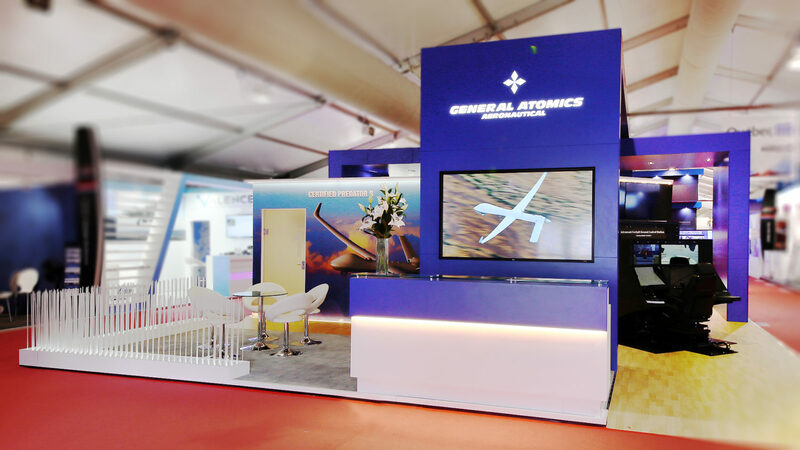 Having worked for General Atomics Aeronautical Systems Inc for over 14 years, we were successful in winning the next European circuit of work. 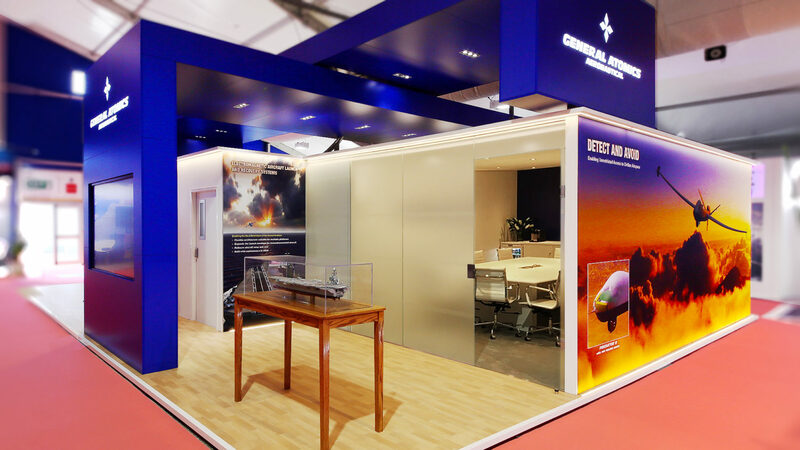 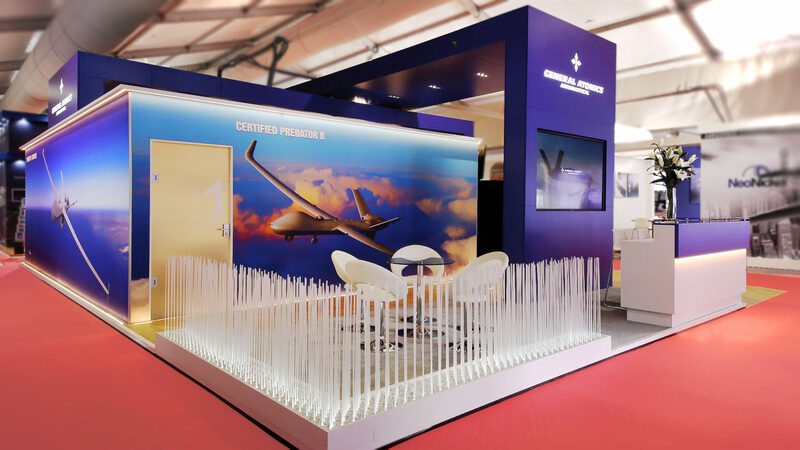 Starting with Farnborough, a fresh look with strong architectural features elevated their exhibition presence. 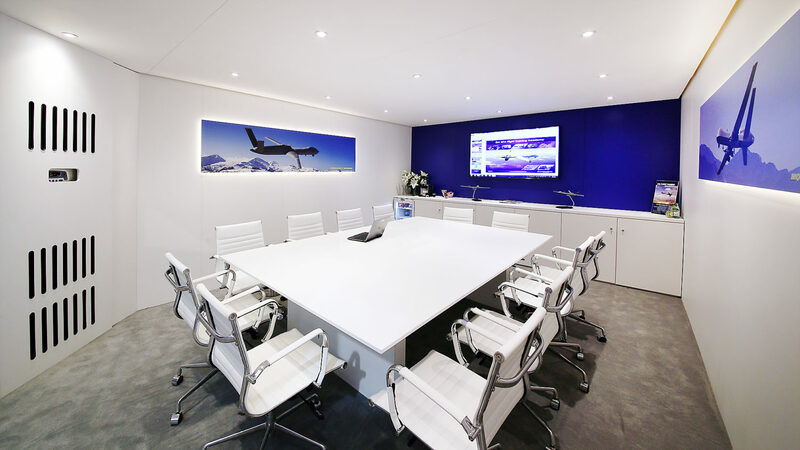 As a leading manufacturer of remote piloted aircraft systems and radars, privacy is paramount; two sound reducing meeting rooms were the centre of the design.